Gold in Africa is attracting attention. Here’s a look at companies that are currently mining gold in Ghana, Mali and Burkina Faso. When it comes to mining gold in Africa, the western side of the continent is a hotspot. It’s home to many explorers, as well as a slew of major companies focused on extracting the metal. Ghana, Mali and Burkina Faso are three of West Africa’s most active gold-mining countries. These nations are all major gold producers, and for investors interested in gold in Africa, they are important areas to keep a close eye on. Read on to learn more about these three countries and which gold-producing companies are currently operating within them. Ghana is one of the best places to look for gold in Africa. It is one of the continent’s top gold-producing countries, and supports several large gold companies, as well as a large number of artisanal miners. Artisanal mining is highly sensitive to the gold price, and the government of Ghana is making an effort to eliminate this industry. In 2017, the country produced 80 MT of gold; there was speculation that output could drop due to government cuts, but ultimately there was no effect in terms of numbers. In fact, output actually increased by 1 MT from 2016 to 2017. One of the companies producing gold in Ghana is Asanko Gold (TSX:AKG,NYSEAMERICAN:AKG), whose flagship Asanko gold mine reached commercial production on April 1, 2016. In its Q1 2018 report, the company announced gold production of 48,229 ounces, placing the firm on track to meet its annual guidance of 200,000 to 220,000 ounces. 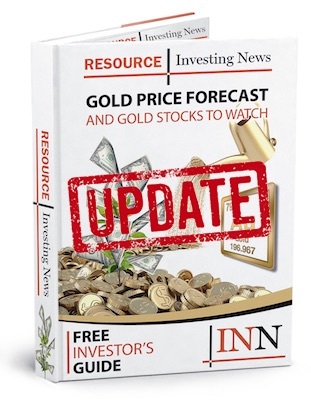 West Africa-focused Perseus Mining (TSX:PRU,ASX:PRU) holds one gold property in Ghana: its flagship asset, the Edikan gold mine. It has a measured and indicated gold resource of 5 million ounces. Edikan first produced gold in 2011, and by January 2012, the company was in commercial production. Ore reserves at Edikan were last reported to be 53 million tonnes grading 1.1 g/t gold. Perseus also holds two other gold projects in Côte d’Ivoire. Golden Star Resources (TSX:GSC,NYSEAMERICAN:GSS) has been operating in Ghana since 1999. It holds a 90-percent interest the Wassa mine, which has mineral reserves of 1.5 million ounces at an average grade of 2.27 g/t gold. The company also holds the Prestea mine, which has operated for over 100 years and has produced more than 9 million ounces to date. BCM International is a private company that bought its Nzema mine from Endeavor Mining (TSX:EDV) in 2017. The mine is located at the south end of the Ashanti Gold Belt. The mine is 90-percent owned by the company, and 10-percent owned by the government of Ghana. The mine began commercial production in 2011, and based on current reserves will have only a few more years of life left. Another large company operating in Ghana is Newmont Mining (NYSE:NEM), which has two gold-producing mines in the country: Ahafo and Akyem. Major miner AngloGold Ashanti (NYSE:AU,ASX:AGG) also has two wholly owned and managed operations in Ghana: the Iduapriem and Obuasi gold mines. Investors interested in learning more about gold mining in Ghana can click here. Gold production in Mali came to 49.6 MT in 2017, making the country Africa’s third-largest gold producer after South Africa and Ghana. This is in part due to the efforts of artisanal miners; like Ghana, Mali is home to many artisanal miners, and the country’s government estimates that informal miners produced about 50 MT in 2017. The largely unregulated sector is plagued by fatal accidents, smuggling, child labor and environmental damage. The government of Mali announced plans in 2014 to supervise operations and give miners easier access to financing, but progress has been slow. Despite Mali’s widespread artisanal mining practises, it is also home to many large gold-mining companies. Those include IAMGOLD (TSX:IMG,NYSE:IAG), which operates the Sadiola and Yatela gold mines, and AngloGold Ashanti, which holds the Morila, Sadiola and Yatela mines. The latter two are joint ventures between AngloGold Ashanti and IAMGOLD; meanwhile, Morila is a joint venture between AngloGold Ashanti, Randgold Resources (LSE:RRS,NASDAQ:GOLD) and the Mali government. Apart from the Morila joint venture with AngloGold Ashanti, Randgold Resources also has the Loulo-Gounkoto mine complex, an 80/20 joint venture with the government of Mali. Agriculture and mining are the largest and most impactful industries in Burkina Faso. For that reason, the government is focused on making infrastructure improvements — major roads are being paved, while others are being formally created in order to make further development possible. Annual production for 2017 came in at 45.5 tonnes and is estimated to jump up to 55 tonnes in 2018, according to Reuters. Endeavour Mining acquired the Karma mine in Burkina Faso in 2016, and announced first gold production in April of that year. Karma is a low-cost operation with six identified gold deposits, and has a shallow open pit with a low strip ratio and no blasting required. Commercial production was declared on October 1, 2016, and expected production for 2018 is 105,000 to 115,000 ounces. Endeavour also owns the Hounde mine in Burkina Faso, whose average production is 190,000 ounces. IAMGOLD operates in Burkina Faso as well. It gained control of its Essakane gold mine after its 2009 acquisition of Orezone Resources, and Essakane began commercial production in July 2010. A revised life-of-mine plan, completed in December 2015, demonstrates a mine life of 8.2 years and average attributable gold production of 368,000 ounces per year. In 2017 production came in at 389,000 ounces. Another gold producer in Burkina Faso is SEMAFO (TSX:SMF), which operates the Mana mine, the third-largest mine in the country. Mana has produced some 1.6 million ounces since its first gold pour in 2008. Annual production at Mana reached 206,400 ounces in 2017, ahead of its guidance of 190,000 to 205,000 ounces for the year. Finally, a relatively new entrant to the space in Burkina Faso is Roxgold (TSX:ROXG), which declared commercial production at its Yaramoko gold mine in the country in October 2016. In 2017, the company exceeded the upper limit of its increased guidance range, putting out 126,990 ounces of gold. Have you invested in gold in Africa? What are your top producers? Share your opinion below. This is an updated version of an article originally published by the Investing News Network in 2014. Don’t forget to follow us @INN_Resource for real-time news updates! And please let us know in the comments if we missed a company that is currently mining gold in Ghana, Mali or Burkina Faso.